And this past Monday and weekend was one for the record books in South Tampa! 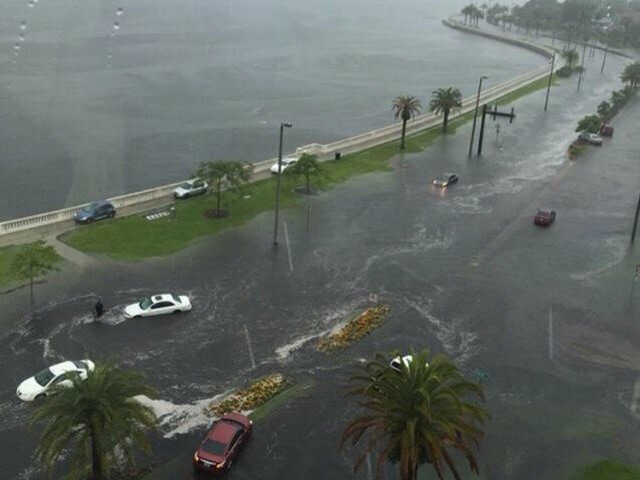 However, no matter where you lived his past weekend was only a taste of what rising water can do to the Tampa Bay area. We trust that everyone came through this safe and the storm was nothing more than inconvenient. However, this South Tampa Builder thought it an opportune time to remind steps to take in case your home is comprised by water. First be safe – Even clear water could be contaminated. Wear waterproof boots and rubber gloves to inspect and remove water-damaged contents. House on Azeele. Grand Oak down from all the water. Take photos – Before you make any repairs or remove water document the damage. Take photos or video. Digital photos are best as it is easy to send, stored electronically and copied. Call your insurance company to file a claim – Keep the number of your insurer in your phone along with your policy number. Protect your undamaged property and remove your damaged property (do not throw away). Make a list of all damaged items be as thorough as you can; quantities, descriptions, cost and where purchased and date of purchase can be very helpful. If your damage is minor and you do not want to go through your insurer, hire a Restoration Specialist. There may be hidden damage behind the drywall so its best to let the experts decide!